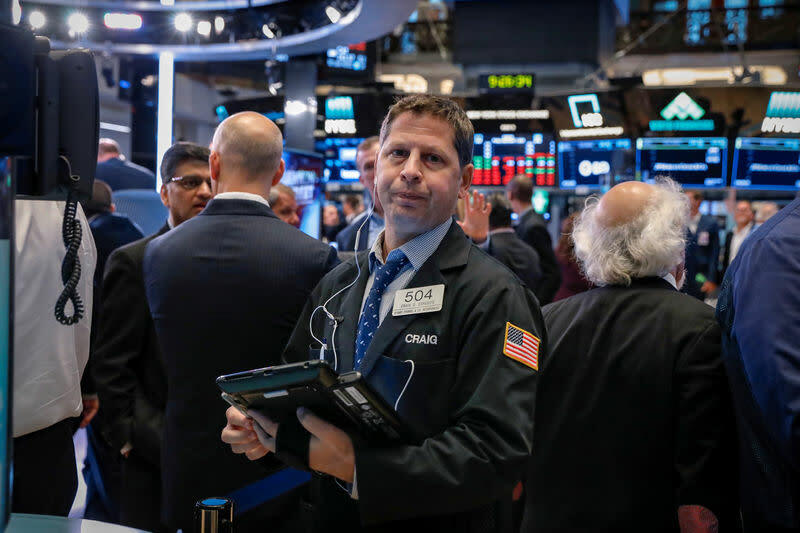 NEW YORK (Reuters) - U.S. stocks ended little changed on Friday as financials rose with bond yields, while news that President Donald Trump instructed aides to proceed with tariffs on about $200 billion of Chinese products limited gains. The S&P financial index (.SPSY) was up 0.7 percent, leading percentage gains among sectors. Benchmark U.S. Treasury yields rose above 3 percent earlier in the day but were last off those levels. At the same time, the rate-sensitive S&P utilities index (.SPLRCU) fell 0.5 percent. The Dow Jones Industrial Average (.DJI) rose 8.68 points, or 0.03 percent, to 26,154.67, the S&P 500 (.SPX) gained 0.83 point, or 0.03 percent, to 2,905.01 and the Nasdaq Composite (.IXIC) dropped 3.67 points, or 0.05 percent, to 8,010.04. Also weighing on utilities was NiSource (NI.N), which tumbled 11.7 percent after fire investigators said they suspected a unit of the company, Columbia Gas, was linked to a series of gas explosions in Boston suburbs on Thursday. Shares of insurer Travelers (TRV.N) were up 0.9 percent as analysts cut loss estimates from Hurricane Florence as the storm weakened. Walmart (WMT.N) lost 0.6 percent after Goldman Sachs raised questions around the purchase of a majority stake in India's Flipkart. Adobe Systems (ADBE.O) rose 2.3 percent, a day after the company topped quarterly revenue and profit expectations.